Nigel Hewitt is a senior visual artist based in Hobart, Tasmania and Perth, Western Australia. Hewitt‘s artworks are most frequently mixed media on canvas, with subjects ranging from contemporary environmental and political issues to the personal and ambiguous notions of identity and existence. In 2015 Hewitt won The Glover Prize, the country’s richest landscape art award, and in 2016 was granted a Creative Development Fellowship from the Department of Culture and the Arts to explore ash as a medium to interrogate our relationship to the natural environment This exhibition has been developed as a result of this fellowship. Kerry Stokes Collection, BankWest, Wesfarmers, Holmes a Court Collection, The Stein Collection, among many others. This work depicts a tarn shelf in Mount Field National Park, in the South of Tasmania. This subject was chosen because of the way it addresses the fragility of survival. 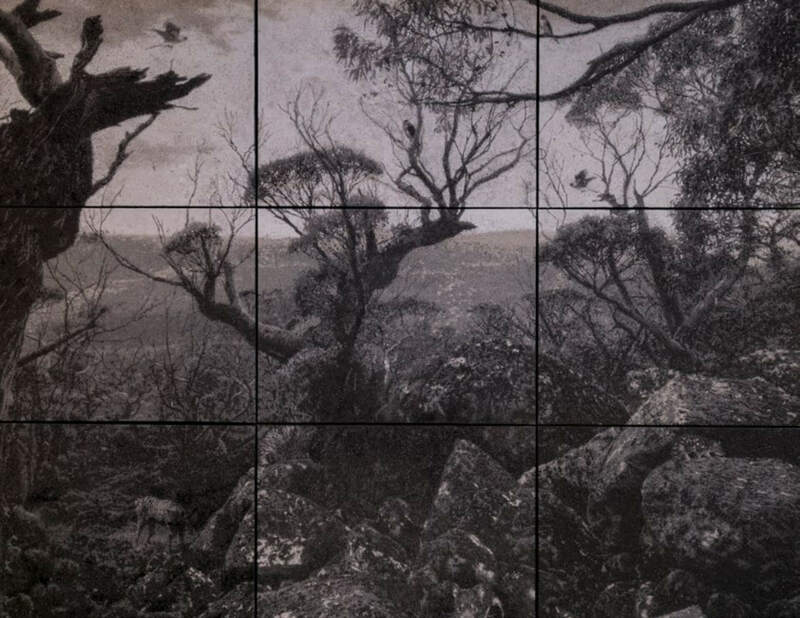 The surface of the work, constructed out of the charred remanets of the destructive 2016 Tarkine fires, speaks about the landscape’s innate vulnerability and its uneasy future. In our contemporary relationship with landscape we face a dilemma, a choice between preservation and production. Despite the existing systems in place for protecting the natural environment, such as National Parks, these remote and ancient landscapes are not protected from changes in out climate. At a distance we can admire the environment’s picturesque beauty, but it is not until we are up close that we can truly appreciate its vulnerability and accept the part we all have to play in its protection.